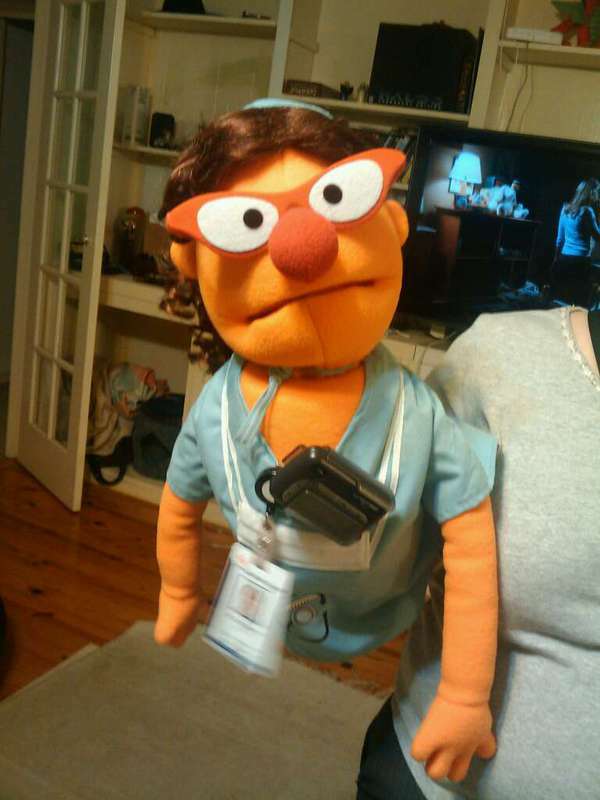 I think it’s time to introduce Dr. Puppet Lauren. 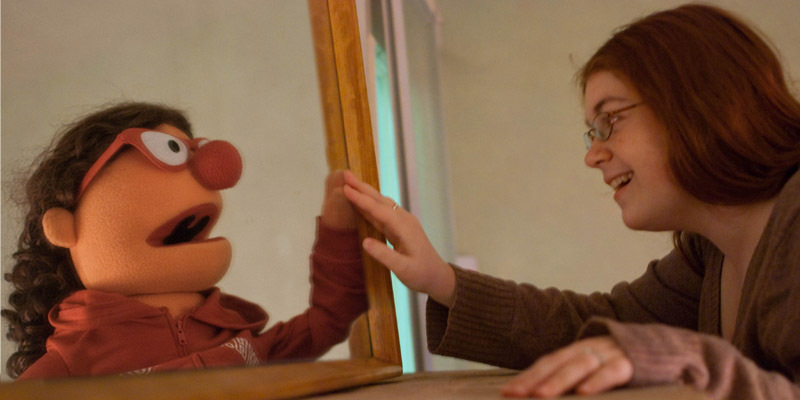 Now, as a grown adult person with a muppet of themselves I looked for opportunities (oppuppetunities, really) to bust her out. One presented itself a few years back when one of my best friends was recovering from nasal surgery. You see, the Whatnot Muppets are the same size as a medium dog would be in a costume at Target. 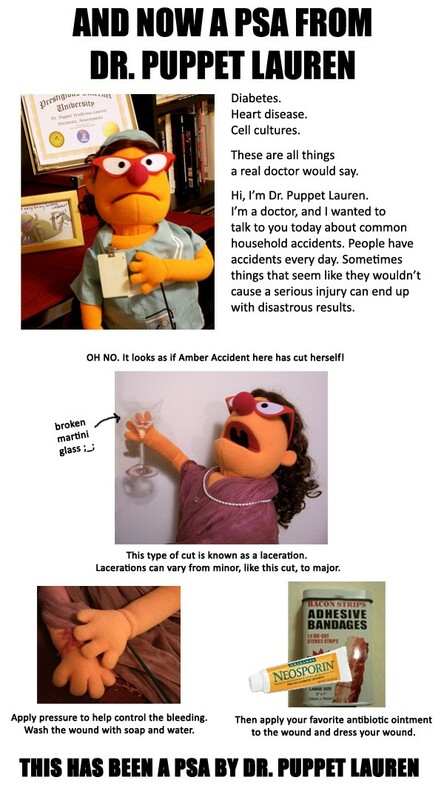 After Halloween they had a doctor costume leftover and thus Puppet Lauren got her medical licence. I went to my friend’s house and advised her I was there to fill her prescription FOR LAUGHS. Turns out you shouldn’t make your friend recovering from surgery in her FACE AREA laugh. Whoops. This was going to go on her ratemydoctor profile for sure. I hope everyone has a great holiday! I will be working, then painting. A quick story from last night. I went to work to see the fireworks. I knew they played along with the 1812 Overture. At the appropriate time, we cranked it up but when the song ended early while the fireworks were still going we’d realized it was a few minutes off. My solution for the finale? Put on Yakety Sax. It was a beautiful moment for America. I suggest it to anyone!